In exercise of the powers conferred by clause (1) of article 224 of the Constitution of India, the President is pleased to appoint (1) Shri R.V. Easwar, (2) Shrimati Pratibha Rani, and (3) Shri Sat Paul Garg, to be Additional Judges of the Delhi High Court, in that order of seniority, for a period of two years with effect from the date they assume charge of their respective office. R.V. Easwar currently holds the post of President of the Income Tax Appellate Tribunal ("ITAT") in Bombay, whereas Ms. Pratibha Rani and S.P. Garg are holding positions as District Judges. The recommendation by the collegium for elevation of R.V. Easwars' name was recently challenged in a writ petition before the Delhi High Court. However, it is now unclear as to what fate the said writ petition would meet. Meanwhile Justice Bharihoke, who had denied bail to the corporate honchos in the 2g scam, retired upon attaining the age of superannuation. 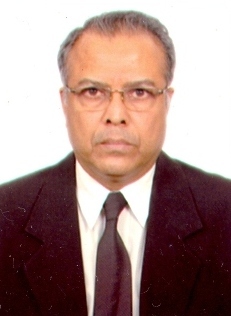 Justice Bharihoke completed his LL.B from Punjab University, Chandigarh and joined Delhi Judicial Service on 07.12.1974. During his career he worked as Civil Judge, Metropolitan Magistrate, Additional Rent Controller, Senior Civil Judge and Chief Metropolitan Magistrate. Hw was appointed in Delhi Higher Judicial Service on 21.08.1995 and worked as Additional District and Sessions Judge, Additional Sessions Judge, Special Judge Anti Corruption (CBI), Motor Accidents Claim Tribunal, Additional Rent Control Tribunal and additional charge of Additional Director, Delhi Judicial Academy. He also worked as Registrar, National Human Rights Commission on deputation from 19.05.2003 to 30.11.2006 and Registrar General in Delhi High Court w.e.f. 06.01.2007 to 13.05.2009. These are all welcome developments in the High Court with their impressive credentials backed by their solid career and experience in trial and litigation.